We got this in our InBox! Hope you enjoyed as much as we ALL DID! 1. THIS is FROM 1967!!! 2. We NEVER heard of this author nor read any of his other works!!! You probably don’t remember the name Eric Hoffer. He was a longshoreman who turned into a philosopher, wrote columns for newspapers and some books. He was a non-Jewish American social philosopher. He was born in 1902 and died in 1983, after writing nine books and winning the Presidential Medal of Freedom. His first book, The True Believer, published in 1951, was widely recognized as a classic. Eric Hoffer was one of the most influential American philosophers and free thinkers of the 20th Century. His books are still widely read and quoted today. Acclaimed for his thoughts on mass movements and fanaticism, Hoffer was awarded the Presidential Medal of Freedom in 1983. Hopewell Publications awards the best in independent publishing across a wide range of categories, singling out the most thought provoking titles in books and short prose, on a yearly basis in honor of Eric Hoffer. Here is one of his columns from 1968 — 42 years ago! Some things never change! Los Angeles Times May 26,1968. The Jews are a peculiar people: things permitted to other nations are forbidden to the Jews. Other nations drive out thousands, even millions of people and there is no refugee problem. Russia did it, Poland and Czechoslovakia did it. Turkey threw out a million Greeks and Algeria a million Frenchman. Indonesia threw out heaven knows how many Chinese and no one says a word about refugees. But in the case of Israel , the displaced Arabs have become eternal refugees. Everyone insists that Israel must take back every single one. Arnold Toynbee calls the displacement of the Arabs an atrocity greater than any committed by the Nazis. Other nations when victorious on the battlefield dictate peace terms. But when Israel is victorious, it must sue for peace. Everyone expects the Jews to be the only real Christians in this world. Other nations, when they are defeated, survive and recover but should Israel be defeated it would be destroyed. Had Nasser triumphed last June , he would have wiped Israel off the map, and no one would have lifted a finger to save the Jews. No commitment to the Jews by any government, including our own, is worth the paper it is written on. There is a cry of outrage all over the world when people die in Vietnam or when two Blacks are executed in Rhodesia . But, when Hitler slaughtered Jews no one demonstrated against him. The Swedes, who were ready to break off diplomatic relations with America because of what we did in Vietnam , did not let out a peep when Hitler was slaughtering Jews. They sent Hitler choice iron ore, and ball bearings, and serviced his troops in Norway . The Jews are alone in the world. If Israel survives, it will be solely because of Jewish efforts. And Jewish resources. Yet at this moment, Israel is our only reliable and unconditional ally. We can rely more on Israel than Israel can rely on us. And one has only to imagine what would have happened last summer  had the Arabs and their Russian backers won the war, to realize how vital the survival of Israel is to America and the West in general. I have a premonition that will not leave me; as it goes with Israel so will it go with all of us. Should Israel perish, the Holocaust will be upon us all. The Previous Rebbe explained3 that, “Pesach Sheni teaches us that ‘Nothing is ever lost: it’s never too late!’ Our conduct can always be rectified. Even someone who is impure, who was far away and even desired to be so, can still correct him self.” There is no justification for despair. Every individual, no matter what his situation, always has the potential to make a leap forward (the literal translation of the Hebrew word Pesach) in his service of G‑d. Given the significance of Pesach Sheni, one might ask: Why was it instituted a full month after Pesach, in the month of Iyar? Wouldn’t it have been better to atone for our defi ciencies at the earliest opportunity, in Nissan? We can answer this question by comparing the spiritual characteristics of Nissan and Iyar. Nissan is the month of revelation, the month during which G‑d revealed His great ness and redeemed the Jewish people despite their inadequa cies. Iyar, by contrast, is the month of individual endeavor, a quality that is exemplified by the mitzvah of Sefiras HaOmer. 4 The theme of Iyar, self-refinement initiated by the individual himself, is in keeping with the nature of Pesach Sheni, the festival in which an individual who was not motivated by Pesach is given an additional opportunity to elevate himself. On Pesach Rishon, hoisted aloft by the Divinely-initiated revelations of the month of Nissan, we strive to reach new heights of spiritual freedom by stepping beyond the limits of our own personalities. This necessitates leaving behind our chametz, i.e., our egotism. Then comes the month of Iyar, with its demand for individual spiritual homework. On Pesach Sheni, accordingly, we concentrate on rectifying and up grading our current levels of conduct.6 And since in this kind of avodah we have to deal with all the current components of our natures, the possession of chametz on Pesach Sheni is permitted. In light of this, we can explain why the mitzvah of Pesach Sheni came about in response to the sincere request of indi viduals who were impure. One of the goals of Judaism is to draw holiness — downward, so to speak — into the world. A more important goal, however, is to elevate the world and the worldly aspects of man, to transform all aspects of our being, and bring to the surface the essential G‑dliness within us. The institution of Pesach Sheni was prompted by the heartfelt desires of those who, despite their impurity, pro tested, “Why should we be prevented from bringing the offer ing of G‑d?”7 The mitzvah was given, not as a commandment from above, but as an expression of man’s inner need to establish a bond with G‑d. 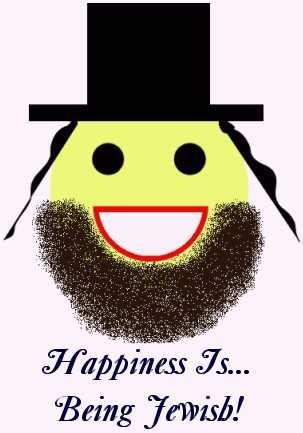 This need exists in potential in every Jewish heart. Man’s plea for “one more chance” reflects the mode of divine serv ice called teshuvah (repentance; lit., “return”). For everyone, even a person who is “on a distant path” possesses a Divine potential which always seeks to realize itself. The concept of teshuvah helps us understand another difference between Pesach Sheni and Pesach Rishon. Pesach Rishon lasts seven days (and eight in the Diaspora), while Pe sach Sheni is celebrated for only one day.8 A week repre sents the cycle of change that governs our material world. The spiritual experience of Pesach Rishon requires a full week be cause it encompasses the entire cycle of growth and change which must take place within the framework of our worldly existence. The service of teshuvah, however, requires us to reach be yond our limited, worldly frame of reference and express the unbounded potential of the G‑dly spark within us. This po tential, which transcends the restrictions of the natural world, cannot be confined within the limitations of time. The celebration of Pesach Sheni for one day symbolizes transcen dence. Here, the number one is not the smallest number; in stead, it represents a unity which transcends all numerical values. Chassidic thought explains that R. Yehudah HaNasi was reacting with a positive form of envy, for he realized that R. Eliezer ben Durdaya’s teshuvah surpassed his own spiritual heights. The Pesach sacrifice was intended to motivate every in dividual to leave his personal Egypt, to make a radical depar ture from his previous spiritual state and approach a new, higher, level of divine service. The departure from Egypt is a continuous process;11 we must constantly proceed forward. No matter what heights a person has reached, he should not remain content with the level he has attained and must always seek to advance further. For the G‑dly potential within us is infinite. In the month of Iyar, therefore, the offering brought on Pesach Rishon becomes insufficient. Since the passage of time has afforded us the opportunity of reaching greater heights in our divine service, it is necessary for us to bring another offering on Pesach Sheni. The necessity for constant spiritual striving is illustrated by reference to the laws regulating ritual purity.12 There are several successive states of purity and impurity. For example, and in ascending order, someone who is considered pure with regard to Chullin (non-sacramental food) may be deemed impure with regard to the more stringent demands of Maaser Sheni (the Second Tithe, which must be eaten in Jeru salem only while in state of purity). By the same token, someone who is considered pure with regard to Maaser Sheni may still be impure with regard to Terumah (the portion of grain given to the Kohanim). Similarly, one who is pure in re gard to Terumah might still be impure for the purpose of partaking of the sacrifices offered in the Beis HaMikdash. These categories are paralleled in our divine service. Though an individual may have been “pure” at his level of divine service on the 14th of Nissan, his progress since then renders his previous status unsatisfactory. Relative to his pre sent level of attainment, his previous state is “impure”, and he is therefore obligated to bring a second Pesach offering. We find that a pattern of continuous growth — “They shall proceed from strength to strength” — is associated with “appear[ing] before G‑d in Zion.”13 May the personal growth motivated by Pesach Sheni prepare us for the time when the Beis HaMikdash will be rebuilt and we will partake of the Pesach offerings and the other festive offerings.14 And may this take place in the immediate future. “It’s never too late. There’s always a second chance.” This, according to Rabbi Yosef Yitzchak Schneersohn (the sixth Lubavitcher Rebbe, 1880-1950), is the message of Pesach Sheini, the biblically ordained “second Passover” for those who fail to bring the Passover offering on its designated time. We all relate to a statement like, “There’s always a second chance.” It soothes our harried souls, and fits nicely on the December 31 page of an Inspirational Sayings Desk Calendar. But how does it mesh with real day-to-day life? I took a small neighborhood survey. What do we mean when we talk about a “second chance?” Is it the ability to step into a capsule, be transported to a previous point in time, jostle aside our previous, misguided self, and do it the right way this time? But if that’s all there’s to it, what has been gained? We could just as well have done it right the first time! The Torah’s idea of teshuvah (“return”) is not just the undoing or correcting of a past error. Rather, teshuvah is about transforming the past. It means reaching back to change the significance and the consequences of what happened, so that the end-result is better than what would have been had it not occurred. As for my business tycoon friend, instead of retiring (as he planned to do at 65), he’s been working day and night to fix the mess that guy made. Let’s see what he comes up with. Washington, DC Metro Station on a cold January morning in 2007. The man with a violin played six Bach pieces for about 45 minutes. During that time, approx. 2 thousand people went through the station, most of them on their way to work. a middle aged man noticed there was a musician playing. He slowed his pace and stopped for a few seconds and then hurried to meet his schedule. A 3-year old boy stopped but his mother tugged him along hurriedly. The kid stopped to look at the violinist again, but the mother pushed hard and the child continued to walk, turning his head all the time. This action was repeated by several other children. Every parent, without exception, forced their children to move on quickly. Only 6 people stopped and listened for a short while. About 20 gave money, but continued to walk at their normal pace. The man collected a total of $32. No one knew this, but the violinist was Joshua Bell, one of the greatest musicians in the world. He played one of the most intricate pieces ever written, with a violin worth $3.5 million dollars. Two days before, Joshua Bell sold-out a theatre in Boston where the price of the seats averaged at $100. This is a true story!!! Joshua Bell, playing incognito in the Metro Station was organized by the Washington Post as part of a social experiment about perception, taste, and people’s priorities. “In a common place environment, at an inappropriate hour, do we perceive beauty? Do we stop to appreciate it? If we do not have a moment to stop and listen to one of the best musicians in the world, playing some of the finest music ever written, with one of the most beautiful instruments ever made…. Do you know the origin of the Kipah or Yarmulkah? A “Yarmulka” (Also Known As: “Kippa”) refers to a Head-covering worn by Jewish Males. It serves as a constant reminder of existence of a Higher Being (meaning: G-d). The word “Yarmulka” comes from the Aramaic “Yarei Malka” which means: “Fear (or Awe) of the King (meaning: G-d)”. It is a symbol of humility and submission to the Divine. It is a very ancient custom which has become accepted practice among Jews. The Shulchan Aruch (Code of Jewish Law) rules that a male may not even sit without a head-covering. Rabbi Shlomo Chein: Welcome. I’ll be with you in a moment…What’s on your mind? not sure: why do men have to wear a Yarmulka [A “Yarmulka” (Also Known As: “Kippa”) refers to a Head-covering worn by Jewish Males. It serves as a constant reminder of existence of a Higher Being (meaning: G-d). The word “Yarmulka” comes from the Aramaic “Yarei Malka,” which means: “Fear of the King (meaning: G-d)”. It is a symbol of humility and submission to the Divine (G-d)] at all times? if one wants to be religious does it have to be worn? not sure: if its to remind us that G-d [It’s forbidden to erase or deface the name of G-d. It’s therefore, Customary to insert a dash in the middle of G-d’s name, allowing us to erase or to discard the paper which it’s written-on, IF necessary] is above, is it still needed if one is aware of that even when not wearing one? Rabbi Shlomo Chein: when we wear a reminder on our head that is not because we don’t believe so inside. It is to reinforce what we believe, and turn it into an action. Rabbi Shlomo Chein: in other words, the question would be similar: should someone wear a wedding ring even if they know they love their husband inside? not sure: can a man be religious if he doesn’t wear one? not sure: what i want to know is if its as important as the other laws? not sure: when it comes to laws instituted by the rabbis, are they as important as laws from torah? Rabbi Shlomo Chein: For most practical purposes a law from the Rabbis needs to be adhered to like a law from the Torah. After all it is the Torah that says follow the laws of the Rabbis. In certain cases a rabbinic law can be more lenient. not sure: in the case of a Yarmulka? Rabbi Shlomo Chein: if you are in a club its not appropriate? Rabbi Shlomo Chein: aha — so in G-d’s eyes it is not appropriate. So you will put G-d (the kipah which reminds you and others that G-d does not want you there) in your pocket, and at the same time you will tell me you don’t need the kipah because you love him without it? not sure: have a wonderful day! A Kipah (AKA: A Yarmalka)!!! On a Northwest Airlines flight from Atlanta , GA , a well attired middle-aged woman found herself sitting next to a man wearing a kippa (“yarmulke” in Yiddish which is short from “Yare Malka which that means: “Awe for the King” – The G-d A-l-mighty who is The King of the World”). She called the attendant over to complain about her seating. “What seems to be the problem, Madame?” asked the attendant. The woman shoots a snooty look at the snubbed Jewish man beside her (not to mention the surrounding passengers). At this point, the surrounding passengers stood up and gave a standing ovation while the Jewish man walked up to the front of the plane. For the 3rd Night, we put 3 Candles from Right to Left, PLUS 1 for the Shamash in the MIDDLE and ABOVE all the rest to set it apart!!! Update 6… We are saddened to report!!! With GREAT heartache and sadness, we have been informed through many NEWS agencies that as for now, it SEEMS like the Shluchim of the Rebbe, Rabbi Gavriel and Rivka Holtzberg (the emessaries of the Lubavitcher Rebbe to Mumbai in India), have been murdered by the vicious murderers. Rabbi Gavriel and Rivka Holtzberg, the beloved directors of Chabad-Lubavitch of Mumbai, were killed during one of the worst terrorist attacks to strike India in recent memory. Jewish communities around the world reacted with shock to the loss of the couple, who were killed Thursday at their Chabad House during an apparent standoff between Indian military forces and terrorists. Their toddler son, Moshe, managed to escape with his nanny some hours before Indian commandos stormed their building, known as the Nariman House, in the popular touristy neighborhood of Colaba. The Associated Press reported that the boy was unharmed, but was wearing blood-soaked pants. Levaya information will be posted as soon as it becomes available. Baruch Dayan Emet. 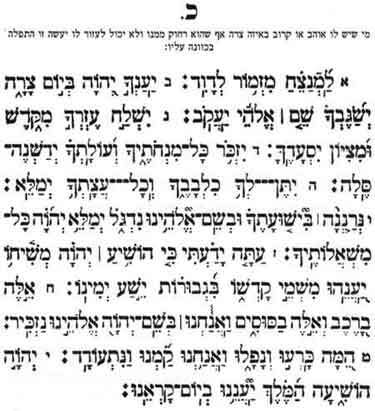 Hashem Yekon Damom. “As the day wore on Friday in Mumbai, with no resolution at hand to what is now called by local news outlets as India’s worst terrorist attack in history, people worldwide anxiously awaited word on the fate of Rabbi Gavriel and Rivka Holtzberg and others held hostage in their Chabad-Lubavitch center. Prayers continued around the clock, and a fund was established to help relief efforts in Mumbai at www.ChabadIndia.org. Concurring reports indicated that at least one American rabbi and one Israeli rabbi, both kosher supervisors who had traveled to Mumbai on business, were in the Chabad House when suspected Islamic terrorists took the building by force Wednesday night local time. Other reports from news organizations and field personnel say that as many as 10 people could be in the Chabad House, not including anywhere from two to five gunmen. The Holtzbergs arrived in Mumbai in 2003 to serve the small local Jewish community, visiting businesspeople and the throngs of tourists, many of them Israeli, who annually travel to the seaside city. Gavriel Holtzberg, 29, was born in Israel and moved to the Crown Heights section of Brooklyn, N.Y., with his parents when he was nine. A prodigious student, Holtzberg was a two-time champion in a competition of memorizing the Mishnah, a compendium of rabbinical enactments redacted in the second century C.E. He studied at yeshivas in New York and Argentina, and as a rabbinical student served communities in Thailand and China under the Summer Rabbinical Visitation Program run by Merkos L’Inyonei Chinuch, the educational arm of Chabad-Lubavitch. His 28-year-old wife, born Rivkah Rosenberg, is a native of Afula, Israel. Chayki Rosenberg described her sister as dedicated to helping Jews. She “gives lots of classes for women at the Chabad House,” Rosenberg told The Jerusalem Post. Friends described her as always having a positive outlook and a kind word for everyone. Two years ago, the Holtzbergs raised funds to purchase the current location of the Chabad House, a five-story building in Mumbai’s Colaba market area known as Narimon House. They operate a synagogue, teach Torah classes, provide drug rehabilitation services, and host scores of people for weekly Shabbat meals. A trained ritual circumciser and slaughterer, the rabbi also conducts weddings for local Jewish couples. The last word heard from the couple came in the form of a phone call the rabbi placed to the Israeli Consulate shortly after the beginning of the attacks. The line went dead in the middle of the conversation. Based on the accounts attributed to the nanny who escaped to safety with the Holtzbergs’ toddler son Moshe, the couple and at least two others were believed to be unconscious. Beginning in the early morning Friday, Indian commandos began a full-fledged assault on the Chabad House, with troops airlifted in by helicopter while snipers trained their sites through windows from locations surrounding the building. Footage broadcast by IBN, CNN’s affiliate network in India, showed a person waving what appeared to be a Jewish prayer shawl from a mid-floor window after the military assault began. As of 3:30 p.m. local time, the military was reported to be in control of the upper two floors of the building and working their way downward. Numerous shots and apparent grenade explosions rang out throughout the day. News reports placed the death toll in the crisis at more than 125, with more than 327 people injured. The attacks began when suspected Islamic terrorists came ashore near the Gateway to India monument carrying plastic explosives, grenades and machine guns and quickly fanned out to a restaurant, the Chabad House, several luxury hotels, a hospital and two train stations. On Friday morning, the Associated Press reported that Lt. Gen. N. Thamburaj held a press conference about security operations aimed at retaking the hotels and the Chabad House. “It’s just a matter of a few hours that we’ll be able to wrap up things,” said the general.